The Roman Catholic Church in The Bahamas is part of the worldwide Roman Catholic Church, under the spiritual leadership of the Pope. The diocese was elevated to a full diocese, as the diocese of Nassau in June 1960. On June 22nd, 1999, the diocese was again elevated as the new Archdiocese of Nassau. I can't tell you enough how helpful your page was for us. We had been interested in visiting Church while on vacation and was not sure where to find them. Thank you. Samuel G.
I have been reading and enjoying your blog. 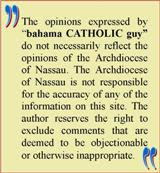 Natalie A.
Kevan, Thank you for the web page for the Catholic churches in Nassau. My wife and I are on a first time cruise next week end (June 4th - 7th) and docking at Nassau on Sunday. Deacon Bob G.
Thanks again for the time and effort in sharing the news from the Bahamas of our wonderful Church. Shameena B.
I have a business trip coming up where I will be on the Great abaco Island in Marsh Habour. I'm hoping you can help me find a Church to visit. Leo R.
I will be getting married Feb 2011 and we'll go to Sandals Emerald Bay. Are there Mass everyday there as we attend Mass daily home. Thanks. Herman P.
I write to thank you for the amazing amount of good information you have on your page. 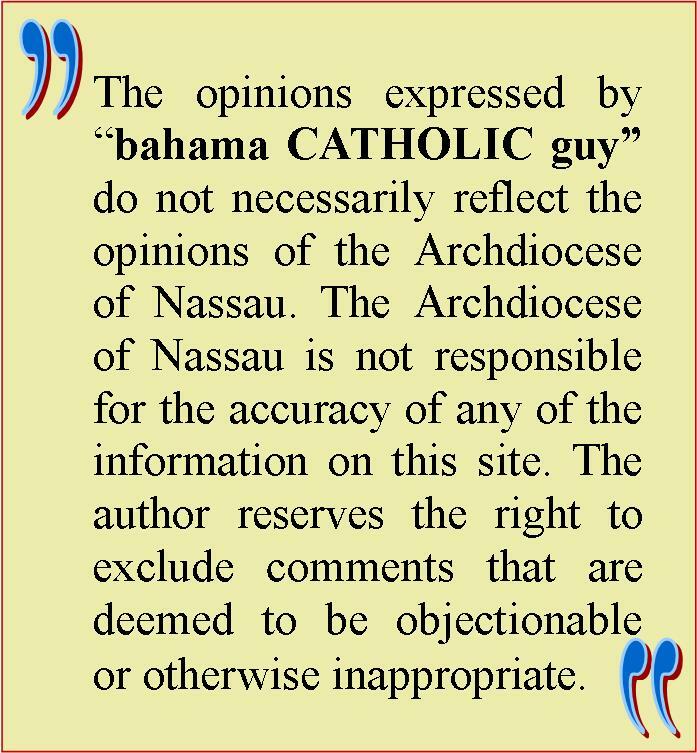 It really helped me to have a clearer idea of what is going on in the Catholic Church in the Bahamas, so thank you again. Mario C (Jesuit Priest from Mexico). Kevan, your website is great. I want to encourage you to keep it up and current. It is really a tremendous gift to the Archdiocese and Catholics here. 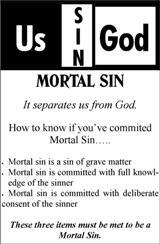 I am including it as a LINK in our Parish bulletin. Michael C.
To feel a feeling that you've never felt before! As we begin our families and watch our children grow, we can only hope and pray that we've instilled Christian morals and values into them so they make the correct choices and decisions when entering the world on their own. With so many influences around them today it's most likely that finding the right person, falling in love and marriage, one time and one time only is becoming a thing of the past. They say that "love is a feeling you feel when you feel that you're going to feel a feeling that you've never felt before!" What a way to describe love, but if this is the case, then I've been in love many times. Do you believe that your life's script has been written, and ordained by God? Unfortunately, we somehow desire not to follow His plans, but lean more towards our own as expressed in an old song by Frank Sinatra: "I did it my way." We tend to think we know best thereby rewriting our life's script, but now what? As I look back on the last 20 years of my life I have to ask if I did it my way or did I follow God's plan and mission for my life? Is there something that I was supposed to have done differently? I wasn't given a checklist to follow so how do I know that the choices I made were the right choices? So, with no checklist as a guidance to follow the will of God we can only rely on prayer and the Spirit to guide us. 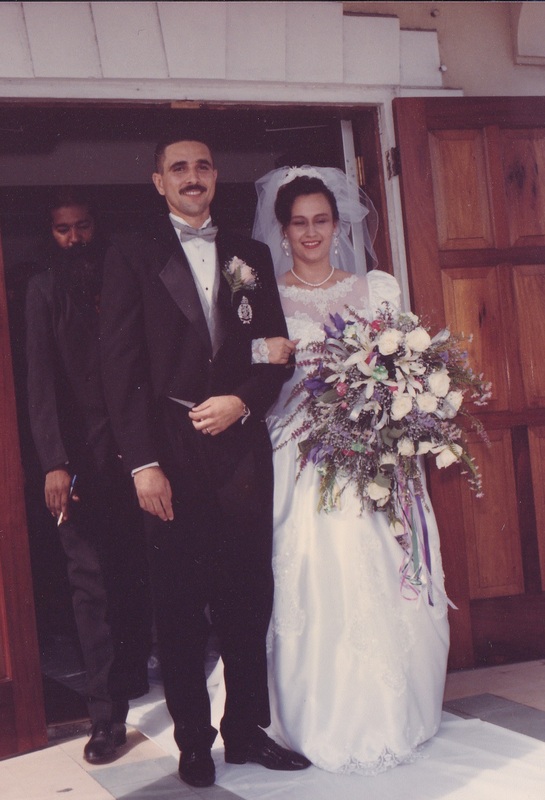 With that said I am confident that I've steered the course as plotted by God with the Holy Spirit as my Captain, therefore I am happy to report that it three short days it will be 18 wonderful years of marriage to the woman who was given to me by the Father on the 3rd of September, 1994. You're probably wondering how I knew she was "the one?" Well I truly believe that there is someone for everyone, so it is important to find that person who compliments you. If it takes a significant amount of time to pick the right car or the right home, then shouldn't we take our time in preparing ourselves to find that right person to spend the rest of our life with? Look for a partner who speaks of marriage as a mighty office and not someone who avoids the conversation of marriage altogether; they are obviously out to have just a good time. I personally was never into clubbing and partying (nor was my bride) so it was important that I found someone with similar interests. My bride had fit the profile like a glove. Knowing the other person's background and family history helps a great deal as well because it gives an idea as to how they would have been raised. They say that if you make it through the first five years of marriage, then you've made it through the storm, however I would have to disagree to an extent. For me the first five years is still the honeymoon period where you are enjoying each other's company while at the same time trying to get to know as much about that person as you can. As the saying goes "you want to know me, then come and live with me." Don't let anyone tell you that they have the perfect marriage because there is no such thing. Every marriage goes through trials and tribulations, even those who appear to have it all. Remember, money cannot buy love and happiness! After the first five years, then we begin to count 10, then 15 and after that, you begin to feel invincible and comfortable in your marriage, with no thought of whether there is a need to evaluate the last decade or so of your marriage. Here lies the problem many marriages encounter; the monotonous way of life that reeks of boredom and helplessness. Is it possible to fall out of love for someone you've known and spent more time with than your entire single life days? Of course, but there should be no need for that! Businesses, even restaurants must reevaluate their products to ensure that it still stands in high regard with the customers. It's the simplest things that create the greatest impact in a marriage. A small note left on the kitchen counter to say "good morning, I love you," or a spontaneous date to a movie of restaurant. For me, I believe the number one cause of marriages failing today and spouses falling out of love for one another is the lack of connection and intimacy with God. If God is present and a part of your marriage and family, then you will understand the true meaning of love, for as we know 'God is love' and the source of all love. We don't stop loving God, right? Why don't we? How did we come to love God? We've never experienced him physically, but we have come to know that He exists because of everything around us. When I look at the sky I'm in awe and know that He is deserving of my love, even more so when I look at my children. God has designed us to love because He is all love, but sometimes we love for the wrong reasons! Let me use an example of the power of God's love for us, one that I heard by a priest in the U.S. God's love for us never changes, no matter how undeserving we are of it. Take for example the sun; on a perfect cloud free day the sun is beaming down on us. Now go ahead and say to the sun, "sun I've been bad today, you shouldn't shine on me!" What do you think the sun will do? It will keep shining of course, and that's how God's love is towards us. No matter what we do, He always loves us. It should be the same for us towards those we love. Of course it is easy to do for our children, but it should be the same for our spouses, relatives and friends. That old adage that says: "a family that prays together stays together," cannot be taken lightly. It is God who is love and shows us how to love. With Him at the center of any family binds that love together forever. When we step into a relationship with someone we should always go into it with the expectations of a long-term relation, with no thoughts about whether this marriage will work or not. Why get involved with someone, waste so many years, then say to yourself "I'm not sure if this is what I wanted." This is the mistake many people make and then find themselves falling out of love because they find that they want to try something new, something they've always wanted to try, but for whatever reason missed the opportunity when they made the "lifelong" commitment. Kevan does not envy or boast. Kevan is not arrogant or rude. Kevan does not insist on his own way. Kevan does not rejoice at wrongdoing. Kevan rejoices with the truth. It's a shame when a couple decides to take a step back from their marriage after having spent so many years together. To be a Christian is an easy task, but because of our human nature and the desire to do it our way, it seems very difficult to walk that road. So too has marriage been labeled by many; as a difficult task made only for a few select group. Do not be drawn into believing that because the marriage of someone close to you failed, and that it can very easily happen to you. Do you also go around believing that because a relative died of cancer then you too will probably die of cancer as well? 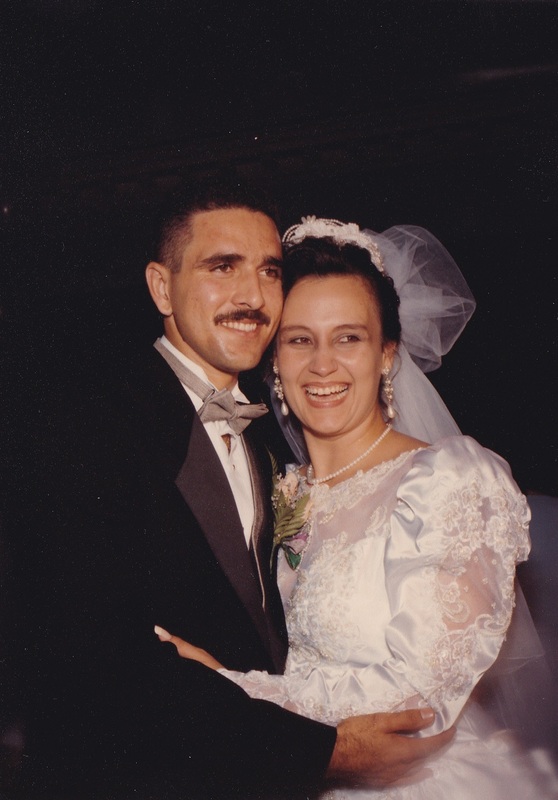 Having crossed the raging seas, plowed through the desert and climbed mount Everest during the course of my marriage I can say unequivocally that if Christ was not at the center of our marriage and family, we would not have made it to 18 years of marital bliss. Too many today want to throw in the towel when the going gets rough, or because the spark seems to be going out. If that is the case, then get that match or lighter and ignite the flame. Allowing helplessness and doubt into your marriage opens the floodgates for satan to step in and fill that void. 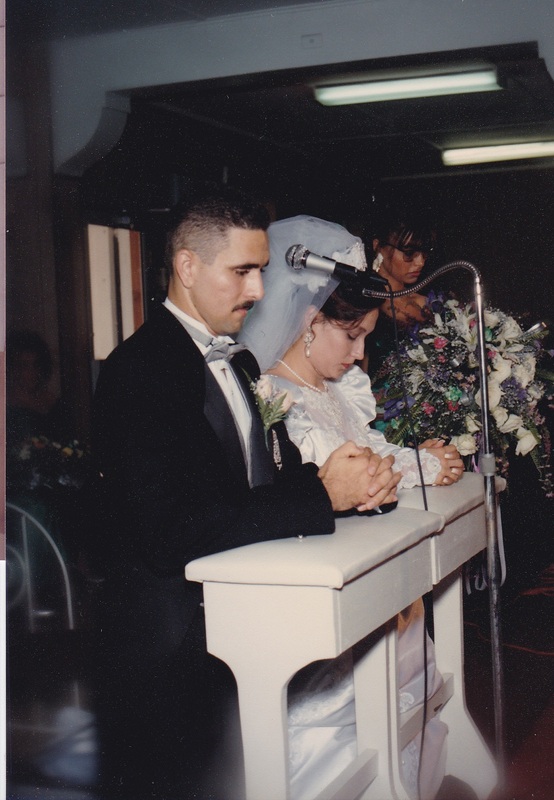 There is only one answer to our problems in marriage and if we will only recall that day when we took those vows (before a Priest and within the walls of a Church I would hope), either from the readings or the Priest's homily where we should never forget to include Jesus in our marriage. As that beautiful song we sing at Mass exclaims: "Trust and obey, for there's no other way, to be happy in Jesus, but to trust and obey." Go ahead now and regain that feeling you've always known was the feeling you felt before. Don't allow satan to rain on your parade!